I'm really excited about this pack and naturally I'll document my findings here. I intend to post this wrap up in 5 parts so you can follow along only a few days behind me. I'm hoping it'll be a great journey and I'm looking forward to trying some Bridge Road beers that I haven't had a chance to sample yet. Hopefully you enjoyed the first, second, third and fourth installments it's now time for the fifth and final! Day 21 - Rule 47 - 1/1 for me in my predictions at the end of the last post! This years offering is a hoppy witbier made by Bridge Road in collaboration with Black Dog, Bright and Sweet Water Brewing - a brewery I still need to visit! The pour is a hazy golden/orangey colour topped by a fluffy off-white head, pretty stereotypical for a witbier. The nose is intriguing with hops fighting for supremacy with yeasty spiciness. The hops are giving me quite strong melon aromas, which I really enjoyed. The taste was once again a, beautifully balanced, fight for supremacy with fruitiness and Belgian yeast combing really well. It's a beer I'd highly recommend and will be getting more of! Hopefully India Pale Witbier takes off as a style. Can't wait for next years guys! 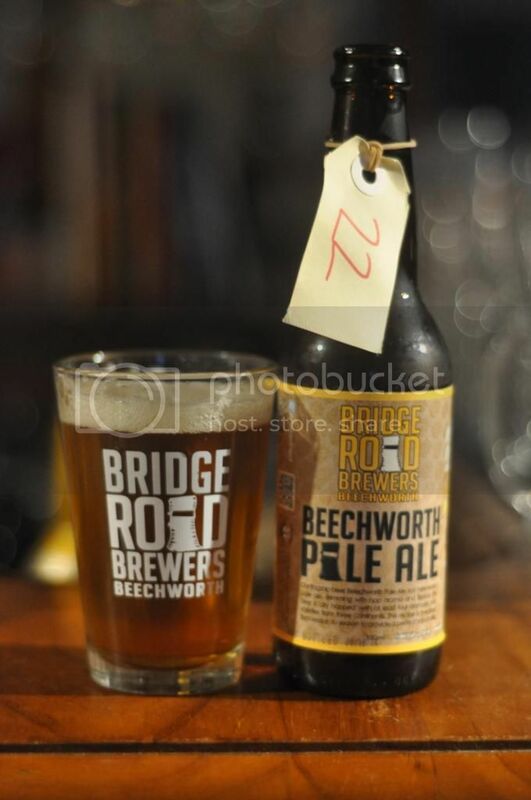 Day 22 - Beechworth Pale Ale - It took until beer 22 in Bridge Road's #beerdvent for us to come across our first repeat beer. 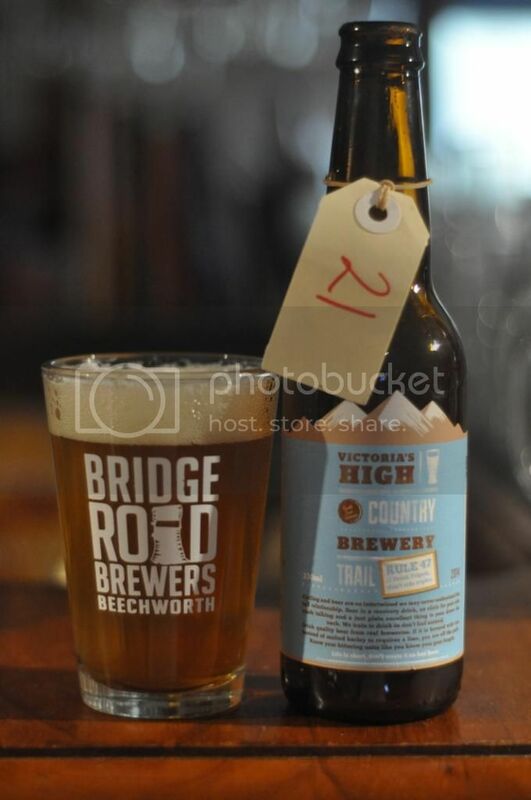 It's not a bad thing with the Beechworth Pale Ale being one of the easiest drinking beers so far. Once again this one poured a slightly hazy golden colour with a brilliant white head - although this one had considerably less head retention. Beechworth Pale Ale certainly didn't let me down, with the citrus and tropical fruit aroma's coming from the hops still very prominent. I still has more malt than I remember but it is certainly not a bad thing. The malt brings a nice balance to the taste with the citrus kicking in at the end for a nice finish. Day 23 - Chevalier Saison - Tuesday is normally an alcohol free day for me, however for #beerdvent I've laxed that so I can keep up to date. 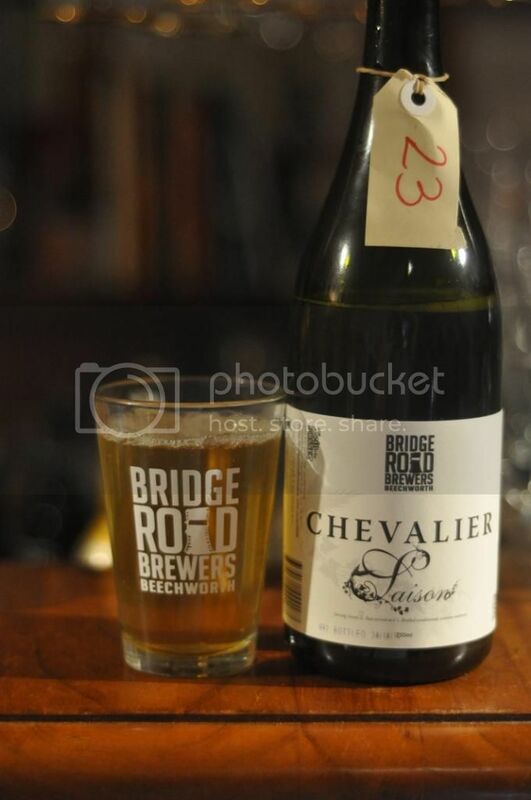 I was pretty impressed when a whole bomber (even a little bigger 750ml) of Chevalier Saison was my reward. The pour is a hazy yellow, which is actually more reminiscent of a Witbier than a Saison, with a very fast diminishing head. The nose has lots of citrus combined with the usual farmhouse funk. There's also a fruitiness which I can't quite place. When it comes to the tasting this beer is stunning! All the qualities mentioned above come together perfectly with spicy yeast leading the citrus and fruitiness. I haven't had one of these for a couple of years, but I'll have to get myself some more - it's great! 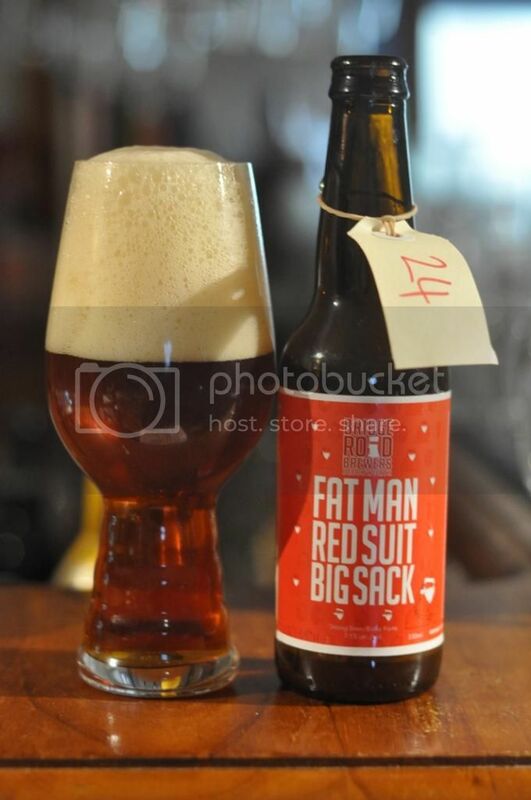 Day 24 - Fat Man Red Suit Big Sack - Repeat beer number two arrived on Christmas Eve as the Fat Man in the Red Suit with a Big Sack prepares to come down the chimney. Anyway, just like last time this beer poured quite a red colour with a large creamy coloured head, note the size difference in the IPA glass as opposed to the Bridge Road glass. This is only the second of these I've had, both in this pack, and I'm really impressed with it. The nose is brilliant with vibrant tropical fruit flavours abounding with just about enough malt to balance it. The taste is similar with good fruit flavours and bitterness being balanced by some sweet, but not too sweet caramel malts. It's a beer I'd highly recommend. Day 25 - B2 Bomber Mach 4.0 - Bridge Road certainly saved the best for last! I sampled my present from them after the cricket on Boxing Day. The B2 Bomber series have been Imperial Black IPA's brewed each year to mark the breweries' birthday. This is the first time I'm having the 4th offering and it pours an opaque dark brown liquid topped by a tan head with large bubbles. The aroma is strong with plenty of roast and hop bitterness. It only improves as it warms (and at 8.6% it certainly warms)! The taste is similar with the roastiness combining perfectly with the fruity hops. My words are doing this justice, that may have something to do with the amount of Carlton I imbibed before this monster... (Shush!) In short it's a brilliant way to finish what has been a brilliant idea! #beerdvent is one of my beer highlights of the year! I think the finish to the B2 Bomber review says it all. The idea was brilliant; and the execution almost better! 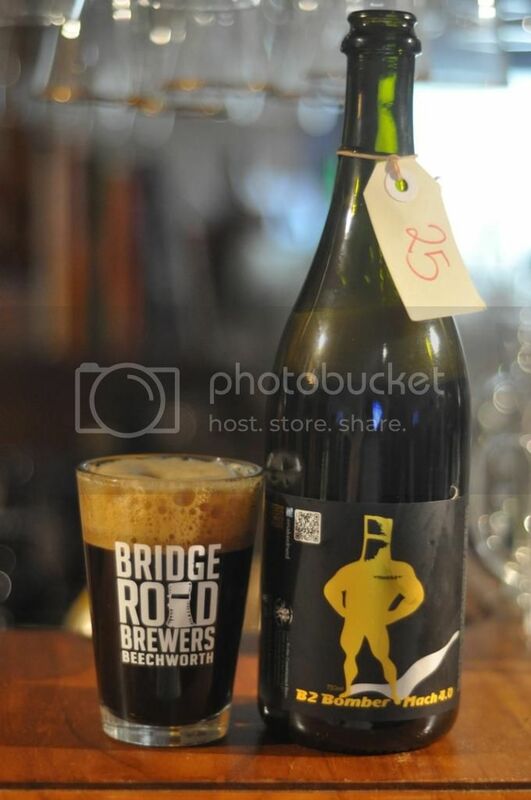 The other thing it's shown me is just how much good beer is coming out of Bridge Road! There would be very few brewers in this country who could put out 23 different beers over 25 days and have very few let downs. Bridge Road well done! !